Below is an excerpt of the letter: “I was given the opportunity to accompany the sisters to a meeting in Muwimbi, a village in Iringa District where the villagers complained that an investor has confiscated the water from River Msugulika to irrigate the investor’s commercial farm in addition to disrupting the local economy, family values and relationships. During the meeting with the community, I heard complaints and laments that were disconcerting. The seizure of their water source has affected their cooking, washing clothes, and their personal hygiene. One man lamented; “I now wash occasionally, I smell and I am ashamed of myself.” A woman in the assembly noted that she has been a traditional healer for years, using herbs from the acquired area. Since the acquisition, she has lost it all and is unable to practice. Several women indicated that they used to collect fruits from the area and sell for family income but are not able to do so as the investor has put a wire fence around the area. This has also divided the village, making them travel long distance to go around the fence to do their normal chores. One man indicated that the investor employs women, almost exclusively. This has led to disruption in child upbringing and other household matters as the women leave early to work and come back late. This last issue sparked a conflict between men and women right in our presence. There were many more disturbing reports. Following the meeting with the community, we accompanied the Catholic sisters to the said river, and sure enough the report by the villagers was true. The river was diverted and pumped to the farm. 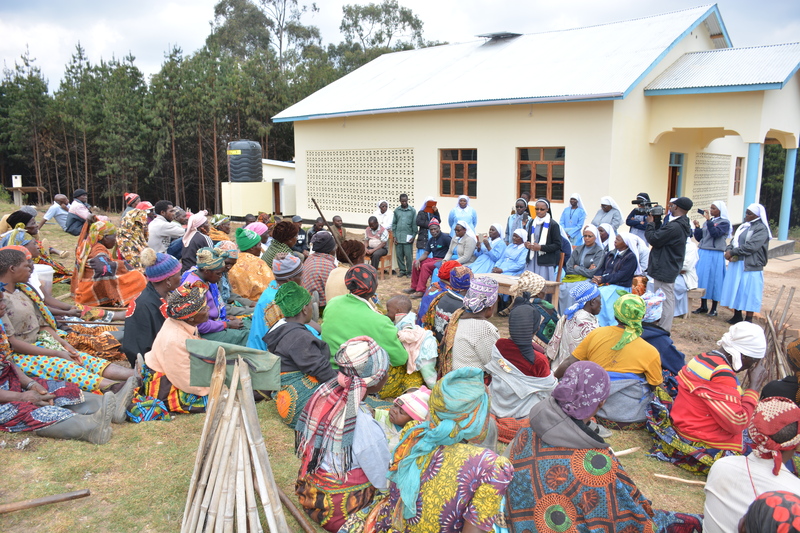 The following day, the sisters went to the District Commissioner of Iringa to bring the issue to his attention with the hope that the hardships brought upon the village would be addressed immediately. From the complaints of the community and what I saw, it seems overall that there was no proper “Environmental Impact Assessment” prior to undertaking the project. Some members of the community complained that they objected to the deal but were threatened and coerced into surrendering.